READY NOW FOR YOU TO CALL THIS TOWNHOME YOURS!!! 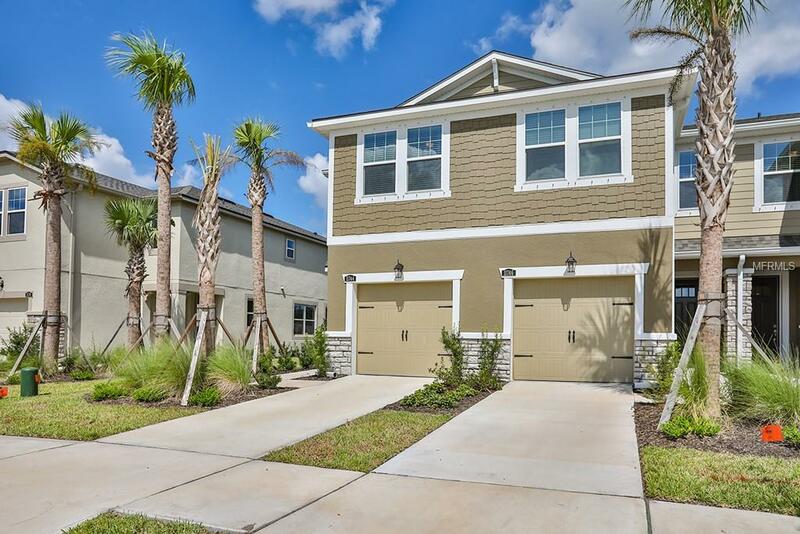 This END UNIT town home boasts an amazing location with easy access to Tampa. Inside you will find stylish Gunsmoke 7x24 plank tile throughout the main level, elegant stair railing, 42" Linen cabinetry in the kitchen with Crema Pearl granite counter tops. Kitchen also boast expanded center island & tile back-splash, stainless steel appliances including fridge! Upstairs features an open loft, owners suite with tray ceiling, walk-in shower and three walk-in sized walk-in closets. Home also comes with blinds. Enjoy evenings on the screened lanai with pavers! Boyette Park is a gated neighborhood in a prime location close to shopping, restaurants, schools, and the interstate. The community has a resort style pool, open air pavilion, fire pit and grilling area. What more could ask for?